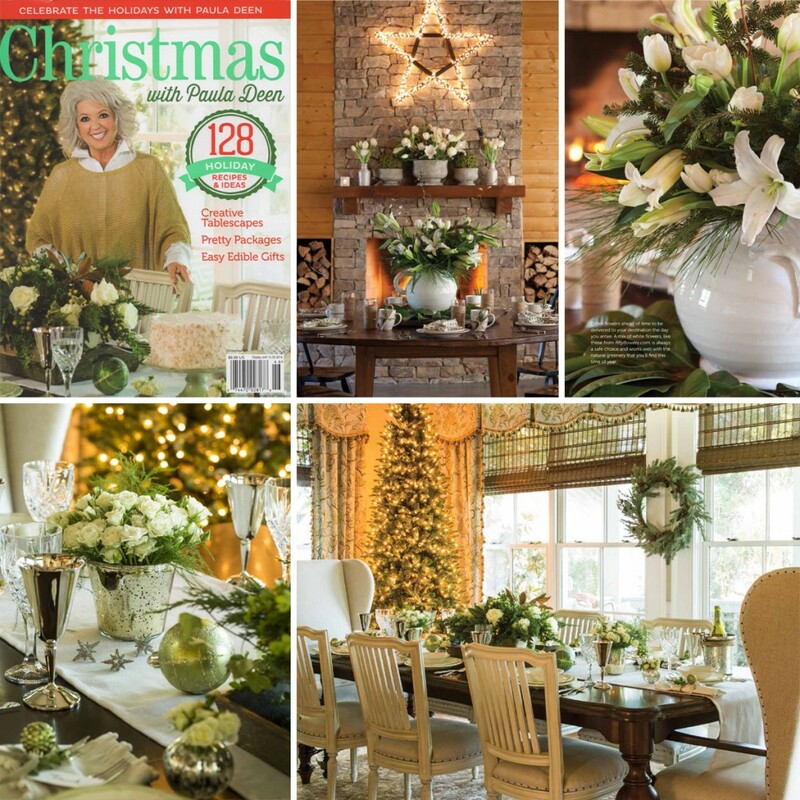 A gorgeous display of white flowers from FiftyFlowers.com can be seen in the 2014 Christmas Special of Cooking with Paula Deen! In this feature, Paula Deen and her design expert, Brandon, show you a few different ways to decorate your Holiday table, from a more formal setting at home to a fun, playful arrangement at a holiday destination for those that travel. Paula says, “order flowers ahead of time to be delivered to your destination the day you arrive. A mix of white flowers, like these from FiftyFlowers.com, is always a safe choice and works well with the natural greenery that you’ll find this time of year.” Take a look at this sneak peek, then be sure to pick up your copy, on newsstands now, to view the full feature! Paula Deen and Brandon used the following flowers from FiftyFlowers.com, White Chocolate Roses, Creamy Ivory Peony Roses, Ivory Oriental Lilies and White French Tulips, but you could use any white flowers, or ivory flowers, that you wish. To finish the look, use greenery from your yard, or check out all the greenery we have to offer, we even have a festive Christmas greenery selection!